The NFL league office has weighed in on the evidence presented against the Patriots and “Deflategateâ€, and the response is stern, if not harsh. In his letter to the Patriots, Troy Vincent also noted that the evidence in the report suggested that this incident was not the first time something like this has occurred. In 2007, the Patriots were again under fire for a incident referred to as “Spygateâ€ in which they were found to have taped opposing teams coaches to figure out their play signals. At that time, the league fined the team $500,000 and a first round pick, as well fining Coach Bill Belichick $250,000. Check out some of the responses on Twitter from current and former players below. They lose a million dollars, which is nothing to an NFL franchise, and a first round draft pick but they still got a championship haha.. 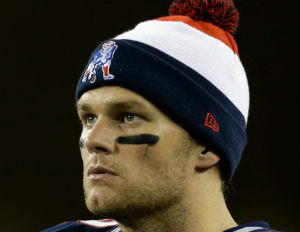 I honestly feel bad for Tom Brady!! I know first hand the type of competitor he is & how much work he puts in… Came down too hard on him!